After their invention by Benjamin Franklin, Franklin’s bells became a novelty in the late 1700s. One bell would be connected to a stake in the ground while the other would be connected to a lightning rod, and a conductive clapper would be put in between them. During lightning storms these bells would ring. How they operate is rather simple. 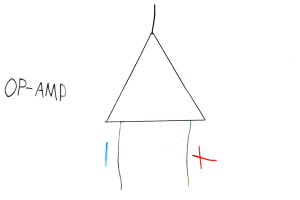 The clapper swings to one bell and gains a positive charge, and once that happens it is repelled from the positive bell and attracted to the negative one. The charge is lost and the clapper is once again attracted to the positive bell and the process repeats. Very little current is used in this process, so little in fact that the oxford electric bell, a battery powered Franklin bell, has been running continuously since it was set up in 1840. The bells must be insulated from each other and the charged one must be insulated from ground. The clapper must be insulated as well, hanging it from a cotton or polyester thread does a good job of that. The potential difference between the two bells should be rather large for the bells to work optimally; anything over 12kV should provide satisfactory results. Higher voltages cause the bells to ring more furiously, with a mild ring at 20kV and all hell breaking loose at 70kV. Yes; in fact it was a common application of this device. Understandably, thunderstorms were of a bigger concern back in the days of dry, wooden structures and no centralized fire departments!